This beautiful hand carved authentic sterling silver bracelet is designed with a hummingbird and delicate flowers. 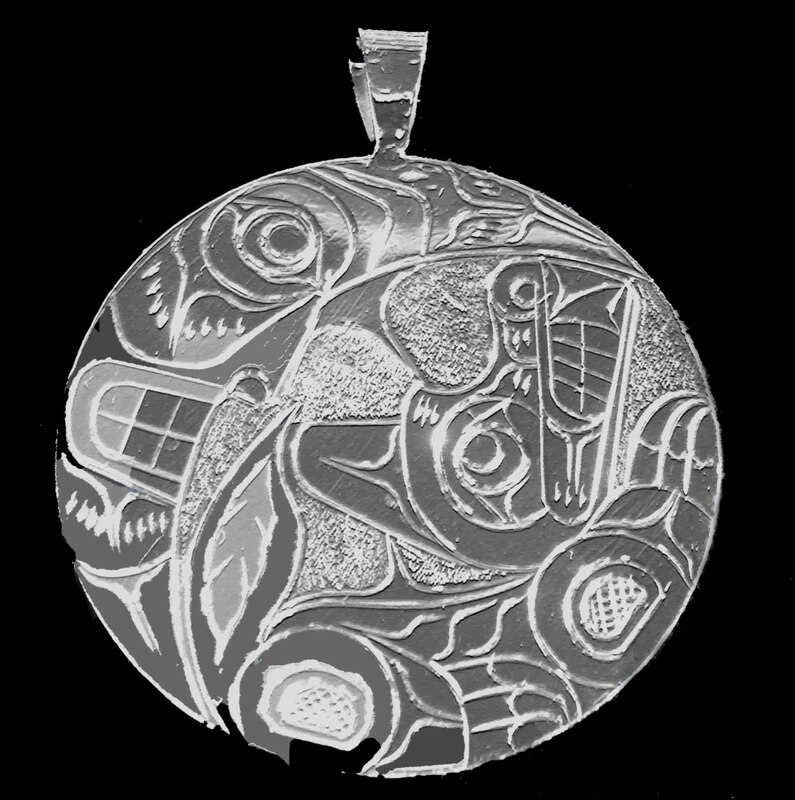 In Northwest Coast culture, the hummingbird crest symbolizes love, beauty, and healing. This beautiful clasp bracelt is designed with two killerwhales. To Northwest coast peoples, the killerwhale represents longevity and is considered a guardian of the sea. This authentic hand-carved one inch silver bracelet has a playful wolf and mischievous raven. The wolf symbolizes a strong family, a good provider, and the wolf mates for life. Raven brought light to the world and is a central figure in Northwest coast mythology. Raven is holding the sun in his beak. 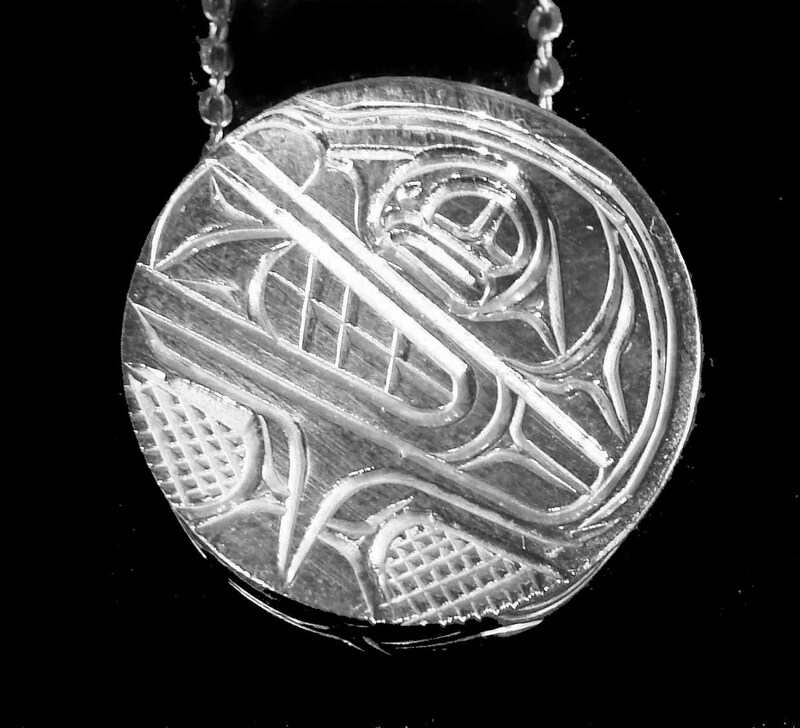 This drum pendant is hand carved by a talented Northwest coast jewellery designer. This three-dimensional pendant is a innovative drum-shape with a strong killer-whale design. 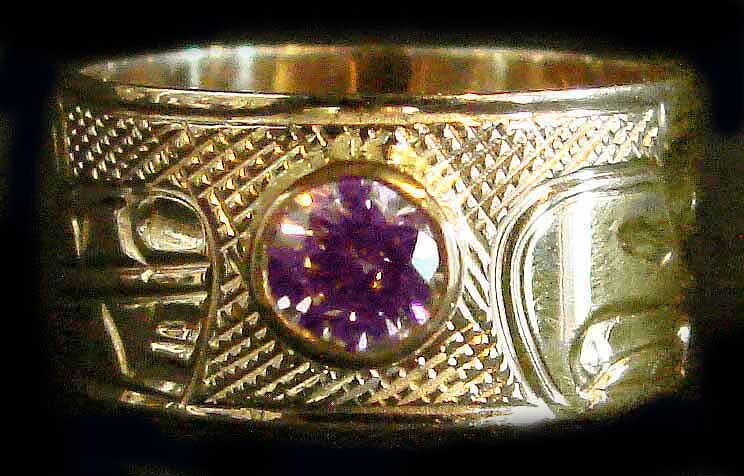 Cedar Root Gallery's jewellery designers hand carve all their pieces in the traditional manner used by the old masters. The drum is an important instrument to Northwest coast peoples and is synonymous to the beat of the human heart. 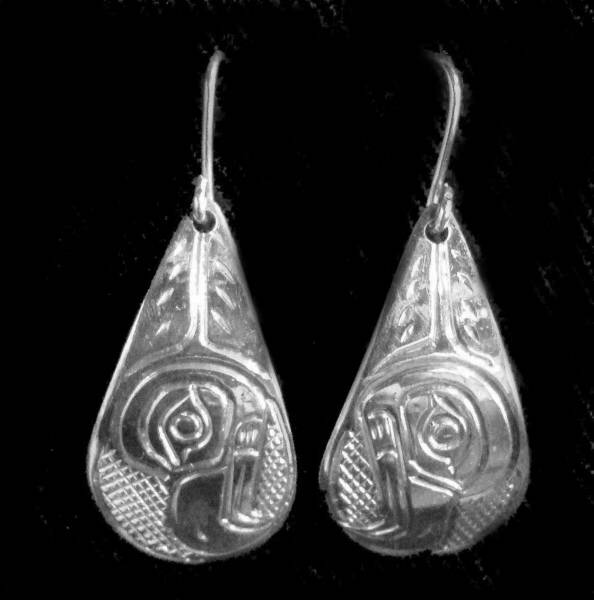 All of Cedar Root Gallery's jewellery contains traditional elements of Northwest coast design and style. 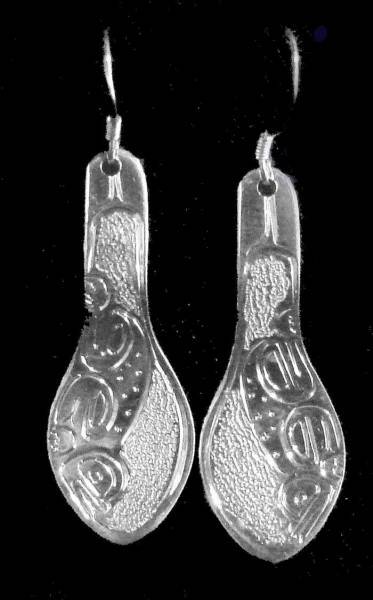 These stunning tear-drop eagle earrings are made of sterling silver. The First Nation designer carved a realistic eagle head and combined it with an abstract body. Cedar Root Gallery carries a wide selection of authentic gold carved jewellery. Any design created in silver can also be carved in gold. We specialize in custom orders in any metal. Also, Cedar Root Gallery has elegant rings with semi-precious and precious stones. This copper eagle half inch bracelet is inlaid with sterling silver. 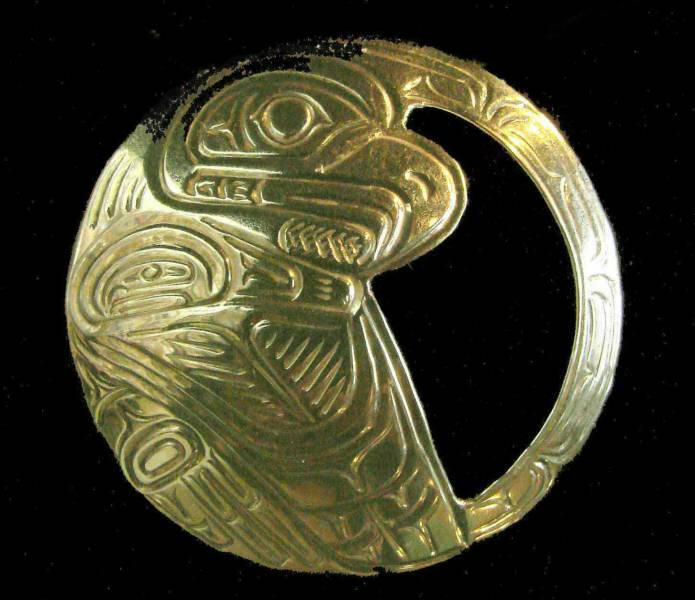 Copper was the first metal that First Nations artists carved with after contact. We consider copper as a traditional metal because it was used to design jewellery before silver and gold.